Create flyer’s highlighting new items and specials. Not only do these advertise the products, but again emphasizes that you are a LEADER in the industry prepared to invest in new and exciting lines. Show unique ways of using the bracelets in the industry. You can achieve this by having design classes or open houses where these unique designs are featured. Have the “couture” products available on sale. There are many products in the floral industry that are extremely unique with a great profit margin. Unless you show them, you can never sell them. Insist on Corsage Creation products. 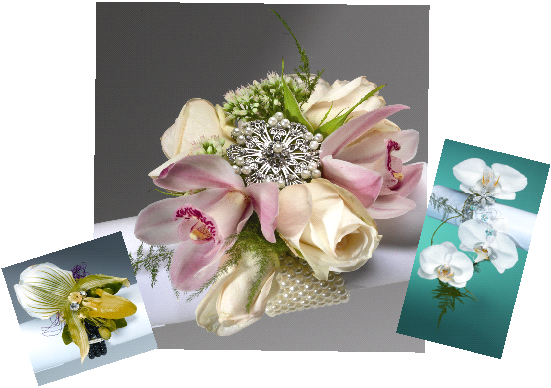 We at Corsage Creations pride ourselves on a lot of things, including our quality and customer service. We are also out in the market place promoting our unique ideas and creations, allowing you to utilize our momentum in the industry. These are just a few ideas to help market yourself during the Prom season. Please visit us at www.corsagecreations.co.uk for more ideas. Wishing you a successful Prom season!! !